Турнир проходит с 12 по 25 февраля 2010. 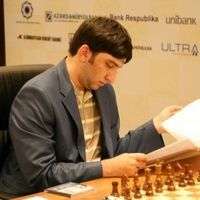 Azerbaijani Grandmaster Vugar Gashimov is invited to participate in the 2010 Linares chess tournament, part of the Grand Slam circuit and one of the top chess events in the world. Vugar Gashimov's manager Sarhan Gashimov and vice-president of Azerbaijan Chess Federation Faik Gasanov confirmed the information for Extratime.az. Among the other participants in 2010 Linares is former World Champion and top rated player in November 2009, Veselin Topalov from Bulgaria. The tournament is only two months before the World Championship match between Anand and Topalov, and it is expected that the Bulgarian will refrain from revealing his opening arsenal in order to reserve most of the surprises for the clash in Sofia. Levon Aronian from Armenia, the 2009 Linares winner Alexander Grischuk from Russia and Spanish Grandmaster Francisco Vallejo Pons will also compete. Norwegian star and currently top rated player in the world, Magnus Carlsen, was supposed to play in Linares, but according to Faik Gasanov, who will also be one of the arbiters in this tournament, Carlsen's participation has been canceled. The World Chess Cup winner Boris Gelfand from Israel will most likely replace him. The tournament is taking place on 12-25th February 2010 in Linares, Spain. 9: Prizes: 1st- 75,000 Euros, 2nd- 50,000 E, 3rd- 30,000 E.